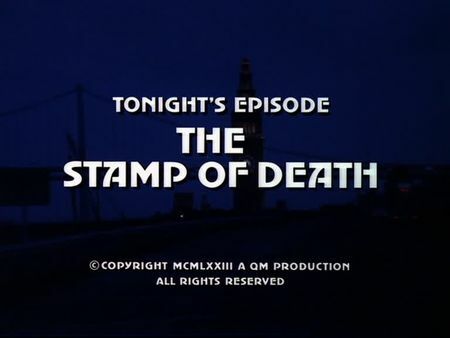 The screencaps for The Stamp of Death were added to the episode's page recently. A rich-man is killed over a rare and priceless stamp out of his exklusive collection. While it looks like a robbery-kill at first sight, a discrepancy between the insurance coverage details and the actual value of the collection leads Mike and Steve to a possible red herring and, finally, to an insurance fraud. When one of the involved, an aged ex-con specialized in professional printing, is found dead, our two cops are getting closer to solve the case. This episode offers a variety of San Francisco locations again. The initial crime scene takes us to Pacific Heights at 2222 Broadway, whereas the philately store of expert Ed Hawkins is located downtown on Bush. We are also taken to Nob Hill, where today's Ritz-Carlton San Francisco was used as the insurance company's headquarters (at that time, it actually was the headquarters of an insurance company), as well as to The Tenderloin (Mike questions informer 'Doc' close to the intersection of Eddy and Jones Streets, and Jenkins' printing facility is located on Turk Street). Glenn and Chris Conway meet each other on Union Square, their apartment is located in the Pacific Heights Towers on Sacramento Street. The final scene was filmed at Ocean Beach, just south of famous Cliff House, which can be seen in the background.